At the end of October, NASA bid adieu to one of the two spacecraft it recently lost - the Dawn space probe. Just earlier that week, the extended, nine-year life of the Kepler Space Telescope was ended after it ran out of fuel, the same cause that led to the death of the Dawn spacecraft. Although the scientists who worked on this project knew that the end was coming for the probe, it was still an emotional farewell. The Dawn spacecraft, which was launched in 2007, does not have enough fuel to turn back towards Earth, so it will be forced to lifelessly orbit around the dwarf planet Ceres, where it was on its last orbit before it died. Thankfully, NASA obtained a copious amount of information from the spacecraft, and they declared that Dawn fulfilled its mission. The Dawn spacecraft had a very specific mission in mind to complete, and it was to study the largest objects in the asteroid belt - protoplanet Vesta and the dwarf planet Ceres. It was the first spacecraft to orbit two heavenly bodies in deep space. An interesting fact about this spacecraft is that it got its name from the fact that the asteroid belt contains many rocky objects that were formed in the “dawn” of the solar system! 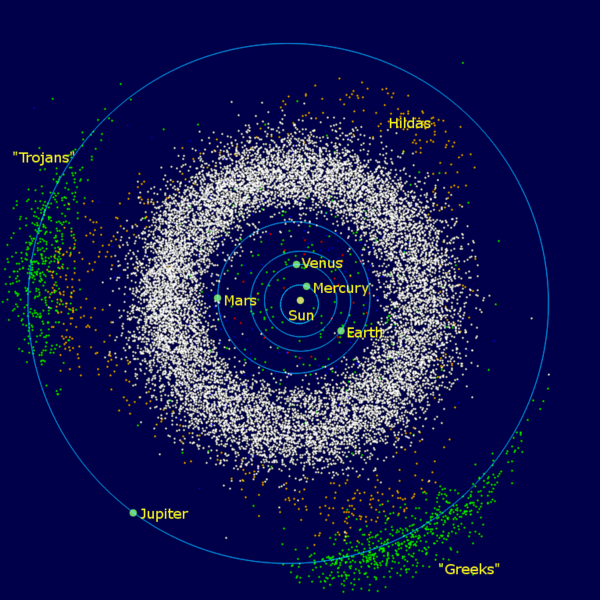 Although Vesta and Ceres reside in the same general area, which is the asteroid belt, the two targets are very different, in terms of geology. Vesta is a terrestrial body and is much like the planets Mars and Mercury, in that it is rocky, dense, and contains a large amount of metal. Meanwhile, Ceres consists of ice and rock, and is covered by a rigid protective crust that seemed to have traces of salts or carbonates. The tangible differences made it that much more important for scientists to send the Dawn spacecraft out to collect data about the identifying features on each target. Additionally, Dawn uncovered some very fascinating aspects about Ceres, including that it contains organic materials on the surface of it. The dwarf planet was even discovered to have a monolithic peak, that scientists believe was once an ice volcano. However, Vesta boasts its own towering mountain as well, which was measured to be approximately twice the height of Mount Everest. Dawn achieved everything that it was required to complete in the mission, plus even more! It took about 95,000 photographs of the dwarf planet and protoplanet and collected over 167 GB of scientific data. As it completed its 3,000 combined orbits around Vesta and Ceres, it sent data and pictures to researchers at NASA, who compiled a lengthy report about the discoveries. Just as Dawn, the Kepler Space Telescope also died as its reserve of hydrazine fuel (a type of fuel that is a rocket propellant) was depleted. There was another reason too. Both spacecraft started out with four wheels each, for axis rotation. However, these wheels slowly started to malfunction for unknown reasons. The hydrazine fuel could only assist the failing wheels to a certain extent. So, as the fuel reserves started to deplete, the spacecrafts were also projected to die at around the same time. Scientists have used these fuel failures as examples to help them improve spacecraft designs. Although the loss of two valuable probes is unfortunate, scientists are looking on the bright side and celebrating all the data that they collected from these two missions.